New Bumper and bits… on for Donny??? Just purchased myself a new bumper for the MX, have always been questioning about the lift in the middle of my current one and a small incident with some ice and a lamppost has cracked it (shame I know!) so found a new one with a lower, flatter front end and a bit more of a simple design. Fingers crossed it will be on and sprayed for Donny show! Also bought myself a short shifter, some new carbon rear lights and I am looking for some new suspension as mine is shot. thats nice that one where did yo ufind it? it looks quite subtle i like it!! found it on ebay actually. Typed in Mazda BUmper and it came up posted from poland but had all my other kits imported from Holland and Germany so sure that wont be a problem. Its a new set up company soi just have to hope the fibreglass is ok. but for 90 quid who can complain. If its crap it will be worth it until I can afford to get a drift kit! I might be making a mould of my rear bumper which fits in with the drift kit just right. I would be! Not really a fan of any of the current rear bumpers out there, like some of the Miro ones actually but a bit worried they're cheap shite. yes I would be interested, I have had the splitter moulded in but doesn't look quit perfect. What I would like is the US back bumpoer (smallernumber palte recess) moulded onto the lower splitter I have with a clio type diffuser in the middle. Not sure it would work though! cool cool. Deffo seems like theres a market then. So basically when you look at the car side on, the whole of teh kit lines up with each other, and the box sections carry on the drift style throughout the car!!! I'l have a word with the boys and see if their game for definitly doing it! think price of the bumper would be the main thing really. unique bumpers are great and yours looks great compared to the crappy ones on offer but if getting a mould made puts the price up around anything like those they just cost too much! Sometimes paying for unique stuff is just out of some peoples range! Im not out to make bug bucks or anything. The main reason for me getting a mould made up is that i could do with a new rear myself as the original mounts have broken on one side, which is why there is that uneven gap on the offside of my car at the rear valance. Instead of trying to fix plastic mounts, it would be easier to just get a mould made up and make a whole new fibreglass one! 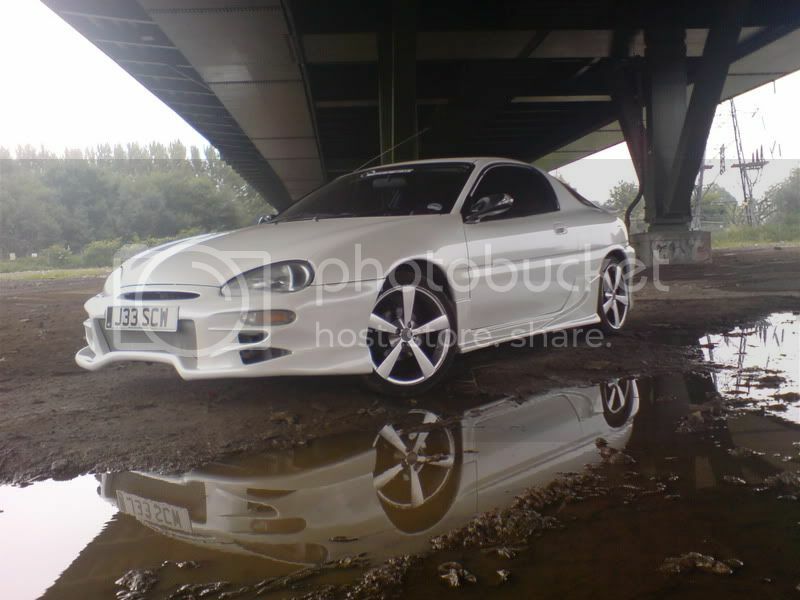 Has it arrived as i realy want a new subtle bumper as my standard one needs changing, pics? got an email from the company. IT was an MX5 bumper there suppliers have mis informed them of fitment. Got a full refund and extra 6% for my trouble so I dont get charged from Paypal for my money transfer. Very nice of them. Pissed off I aint got a bumper though!